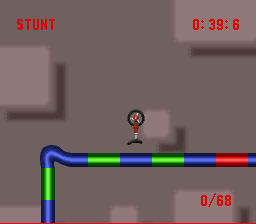 Uniracers is a lot of things, but it is definitely not short. 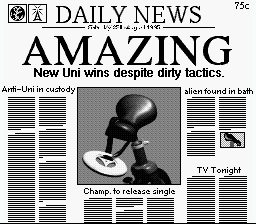 And after racing dozens of tracks, the last few against the "Anti-Uni" are pretty tough. But if you get frustrated, or just want to see what the ending is like (warning, it's a bit of a letdown! 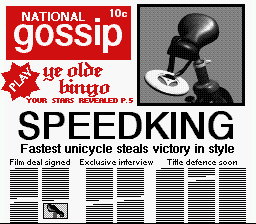 ), then I have some great news for you! Done right, you'll be, erm, "treated" to a few ending shots. 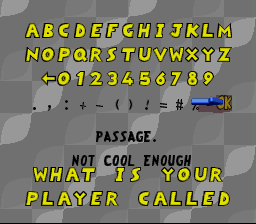 Warning, spoilers ahoy! 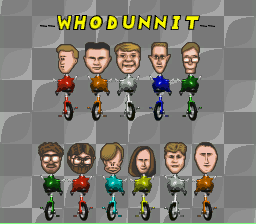 One of the neat things about Uniracers is that you can rename any of the racers to pretty much anything you want to. 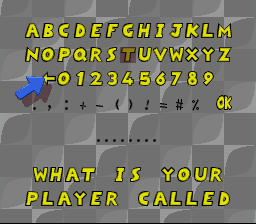 Through some testing, I was able to determine that the game uses a rudimentary check for... we'll call them 'off-color' words, and if it finds them anywhere in the name you've typed in, either for the individual unis or for teams, then it gets rejected. I can't provide a list of all the words it rejects, though. You're on your own for that. 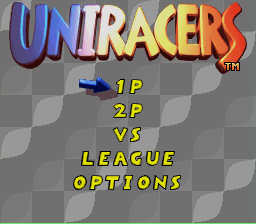 Uniracers is kind of odd. 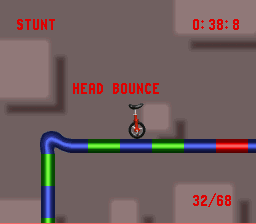 You have to take your living unicycle through a series of races and stunt tracks because that's apparently what living unicycles do. 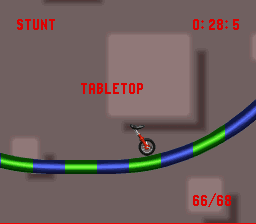 During the stunt tracks, you get points for doing a variety of tricks, but there are a couple that aren't listed in the manual anywhere, the so-called 'Mega' tricks. 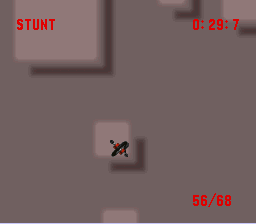 Then press X again to turn back, which will give you a Tabletop. 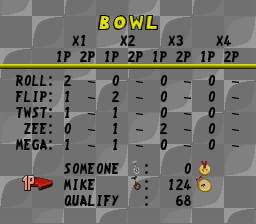 Now, you might notice that on your scoring screen, there's a spot for four Mega tricks, even though I've only shown you two. And I can't find the article to source this, but the reason is that there's four spots for tricks, and only two tricks is because otherwise the scoring screen would have looked funny, like there was something missing. So don't go trying to find tricks that don't exist, mmkay?